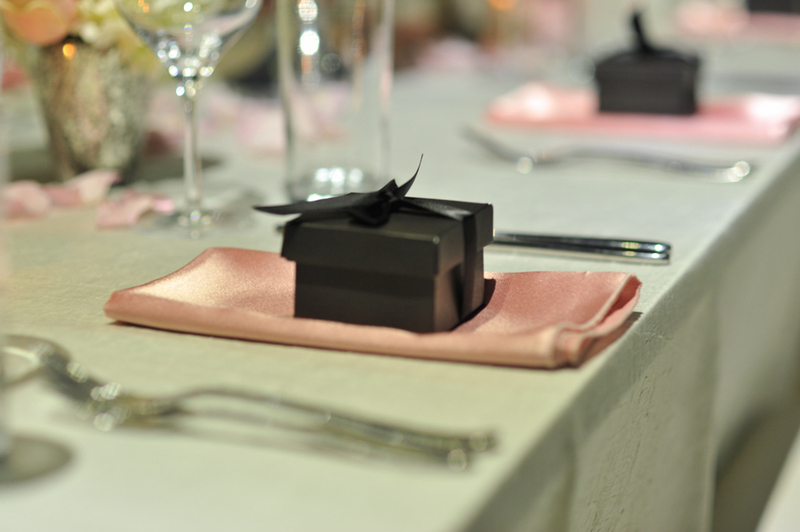 A Bahamas Beach Wedding with a stunning backdrop of crystal clear blue aquamarine water followed by a reception at a waterfront setting featuring the most scrumptious cuisine by Grand Bahama Island’s best chef … picture this for your fabulous destination wedding experience shared with your most cherished guests. All of this and more may be had on Grand Bahama Island. 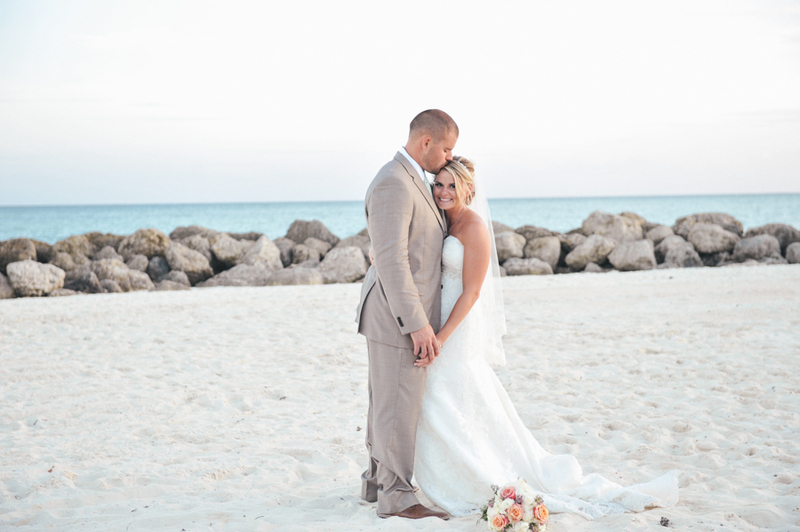 An ocean backdrop is a beautiful setting for your Bahamas wedding. 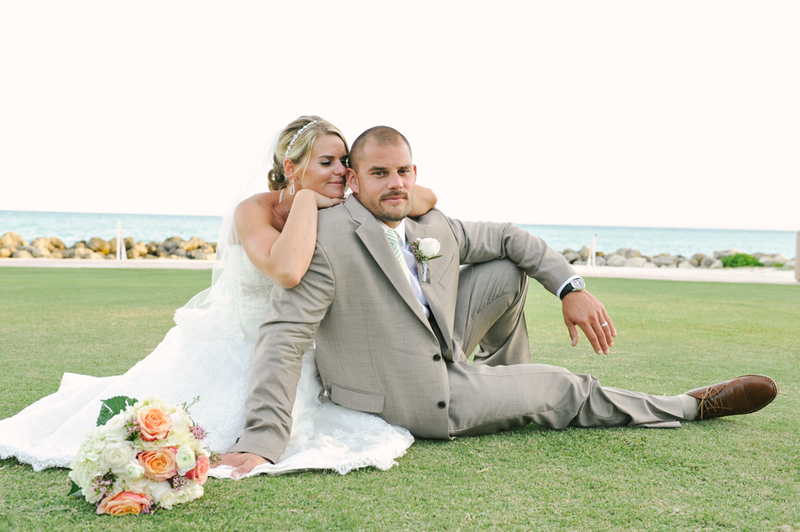 Dan and Courtney tied the knot before some 40 guests from New Jersey at this Bahamas wedding resort – Grand Lucayan. 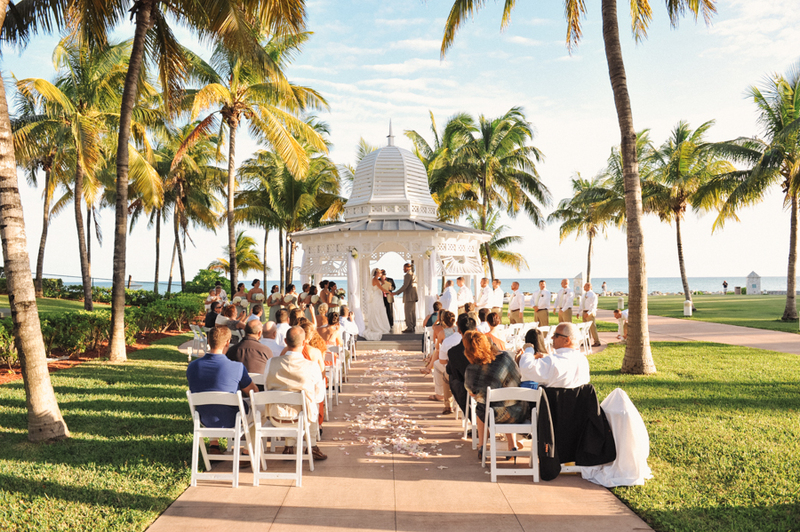 Swaying palm trees graced the gazebo where this couple’s late afternoon ceremony took place. Guests moved from a lovely beachside ceremony at Grand Lucayan to a bayside venue, the acclaimed Flying Fish Modern Seafood Restaurant to enjoy a cocktail reception with butler passes hors d’oeuvres of California sushi roll,Wahoo ceviche and Brown butter pate, apple, crostini. 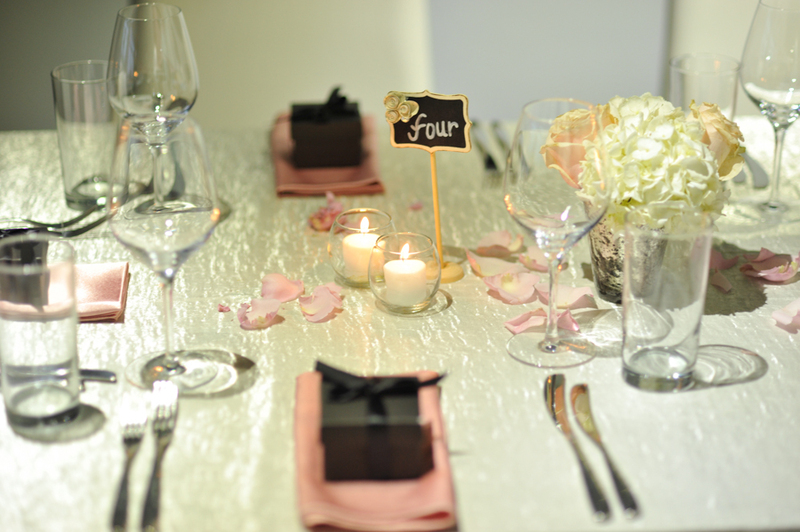 Guests then moved indoors where they dined on a first course of Caesar Salad, followed by main course of Butter poached lobster tail, beef striploin, ricotta gnocchi, toasted mushrooms, sauce bearnaise and dessert of Chocolate and passion fruit. 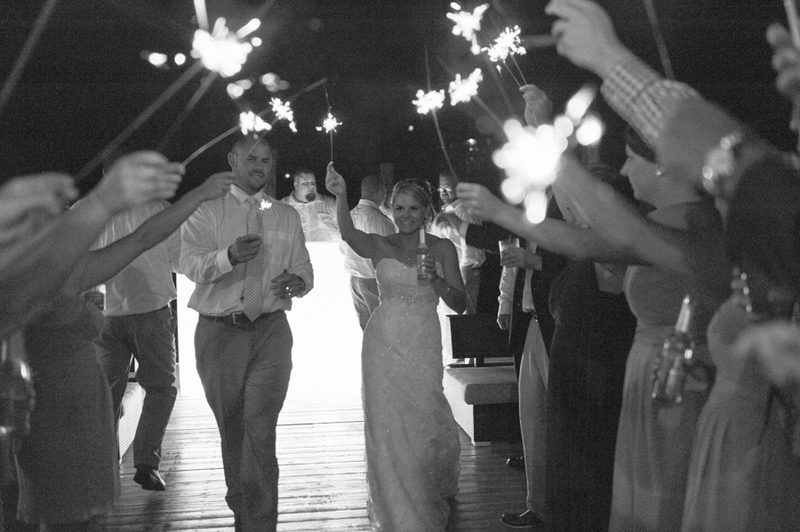 The bride and groom had a sparkler send off to climax the evening. Grand Bahama Island abounds with miles of pristine white sand beaches stretching all along its south shore. 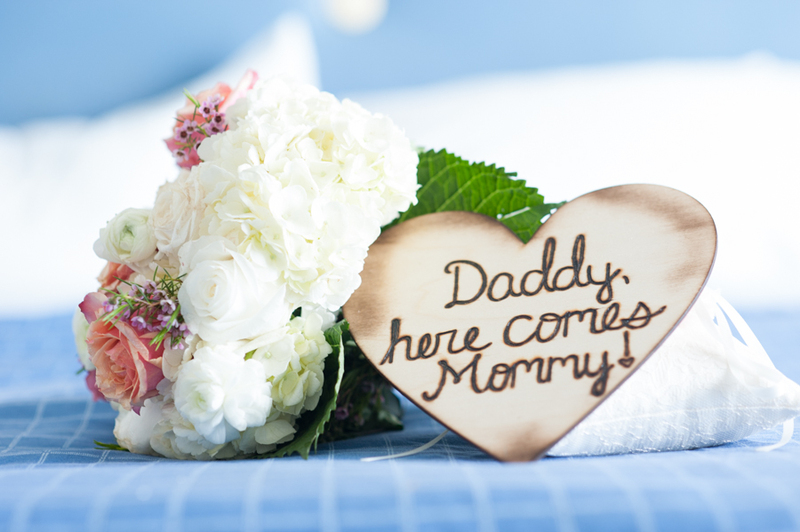 Your Bahamas wedding planner can arrange your secluded beach wedding ceremony on any one of these stunning secluded beaches. 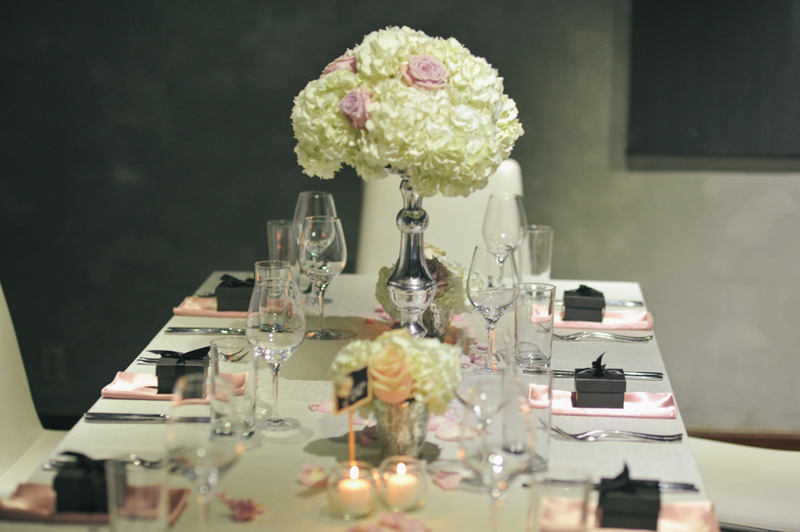 Contact Chic Bahamas Weddings today to begin planning your Bahamas beach wedding.